Do you want to impress your guests with an edible piece of art? 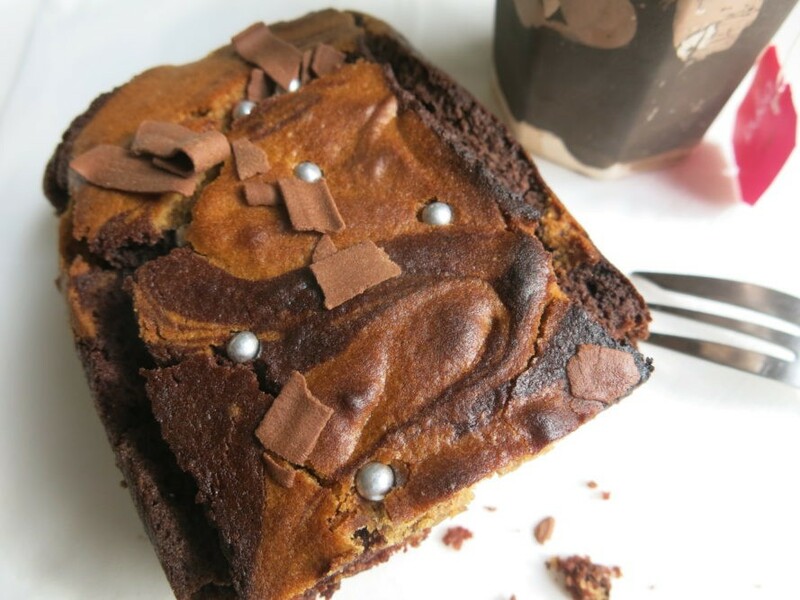 Then look no further than this marble-lous peanut butter and chocolate cake. 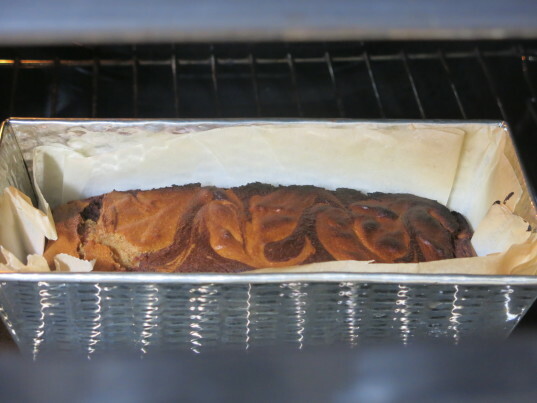 Vegan, gluten free and delicious, this filling cake loaf is perfect for an afternoon tea in the company of friends or family, and the kids will love it. To make it gluten- free we replaced the wheat flour for a mix of rice and chestnut flour, which gives the cake a nutty hearty edge. 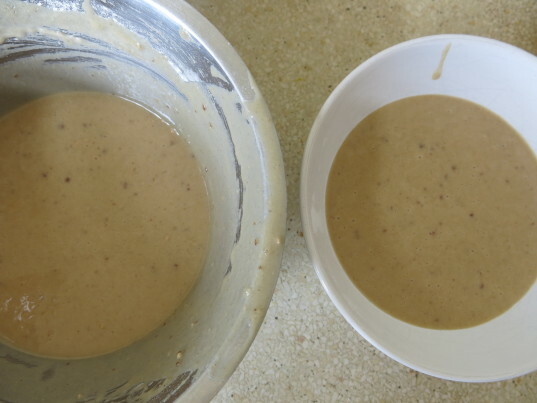 Along with the alternative flours we added flax seed meal as egg replacement, almond milk instead of cow's milk and some peanut butter dollops that makes it sumptuous and sticky. To top it all off, we sprinkled a bunch of metallic balls decoration and chocolate flakes. Learn how to make the marble-lous effect after the break! Preheat the oven to 350?. 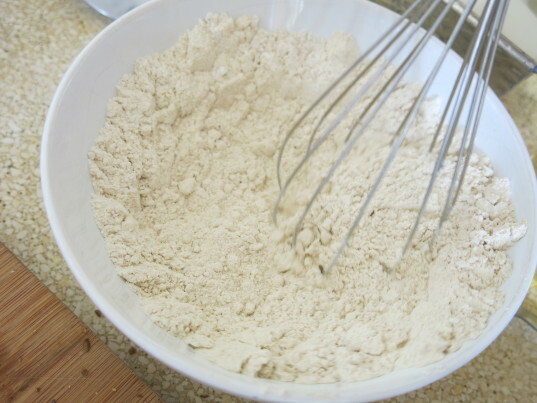 In one bowl, whisk in all the dry ingredients: 1 cup (16 tbsp) of rice flour, 1/4 cup of chestnut flour, 1 tsp of baking soda. 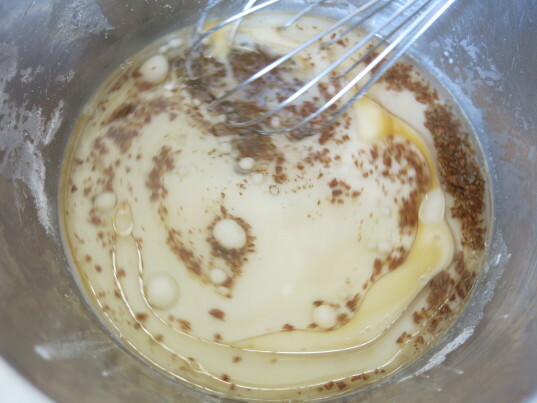 Make the flax meal by processing the tbsp of seeds inside a mortar. 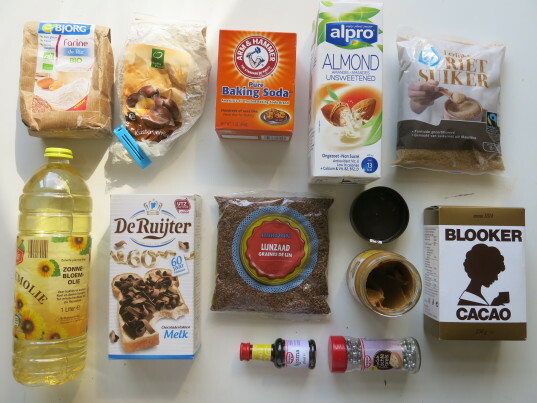 In another bowl, mix the almond milk, sugar, vanilla, oil and flax until sugar is dissolved. Combine dry and wet bowls. Whisk. 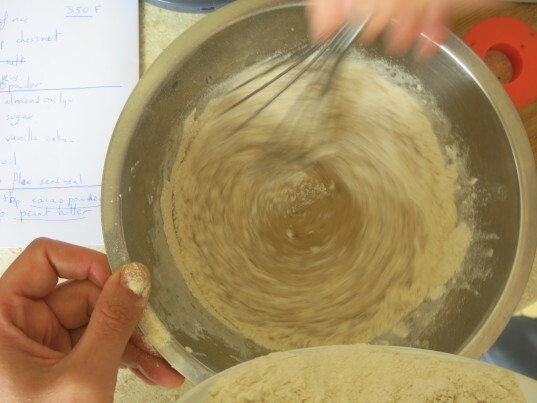 Transfer half of the mix into another bowl. 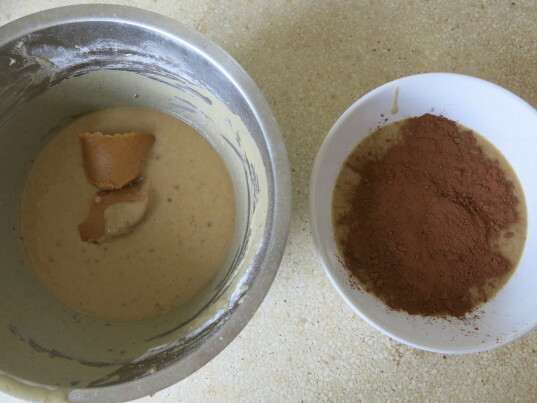 Add 2.5 tbsp of cocoa powder into one of the bowls. Whisk. 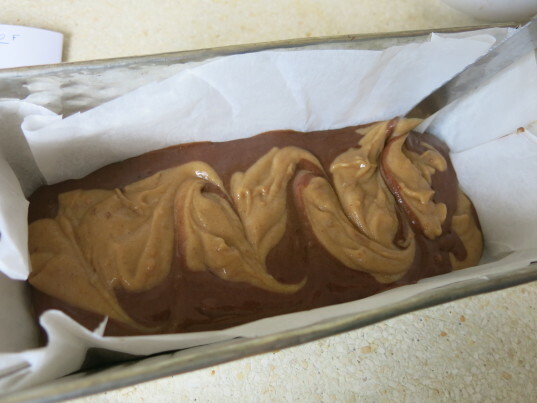 Add 2 tbsp of peanut butter into the other bowl. Whisk. 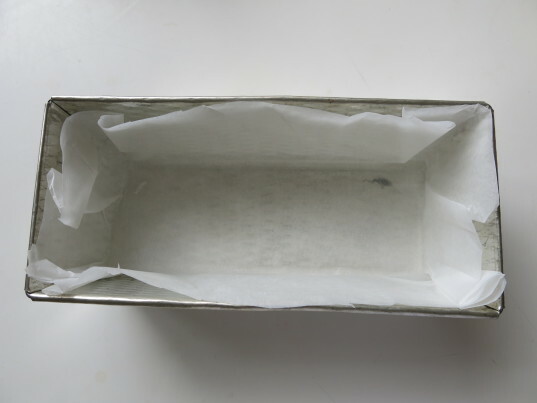 Grease or line a medium loaf pan with parchment paper. 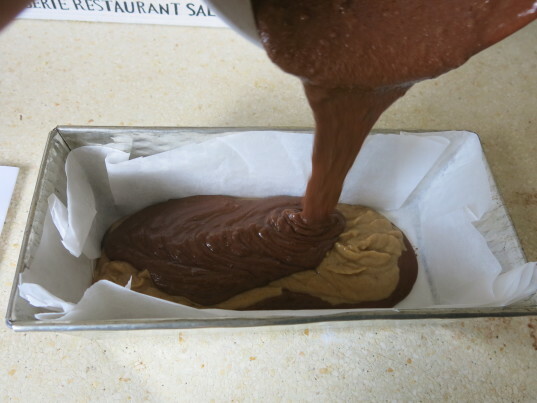 Start layering the darker chocolate mix with the lighter peanut butter preparation using a spatula. Zigzag the top of the cake using a knife. Bake at 350? for 45 minutes or until a knife pinched in its center comes out clean. Take cake out of the oven, sprinkle some metallic decorative balls and chocolate flakes, let it cool, slice and get ready to be amazed.